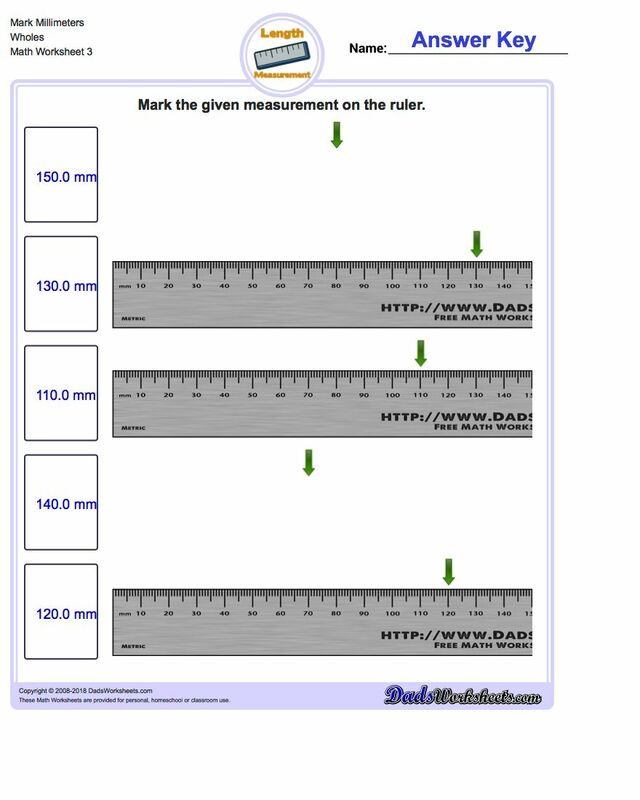 Once students are comfortable reading a measurement from a ruler, the next skill is to be able to accurately mark a specific measurement. 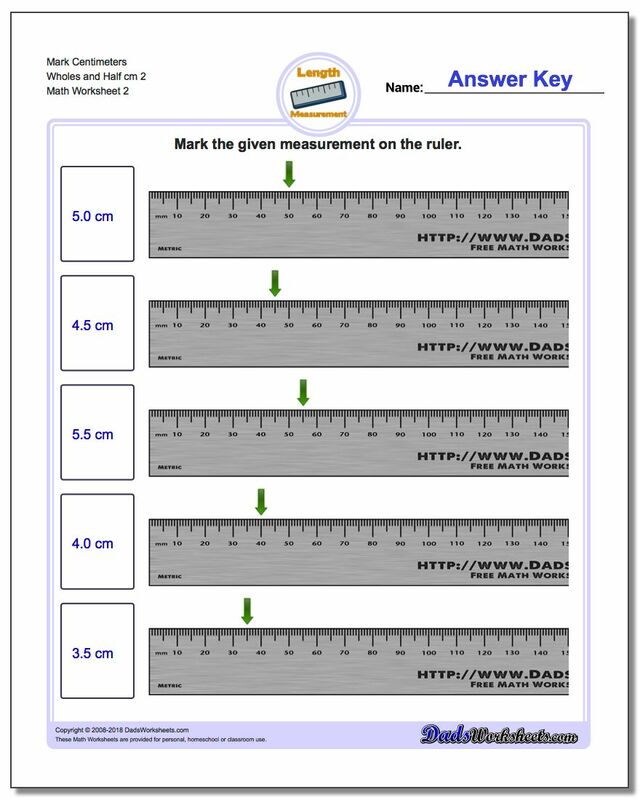 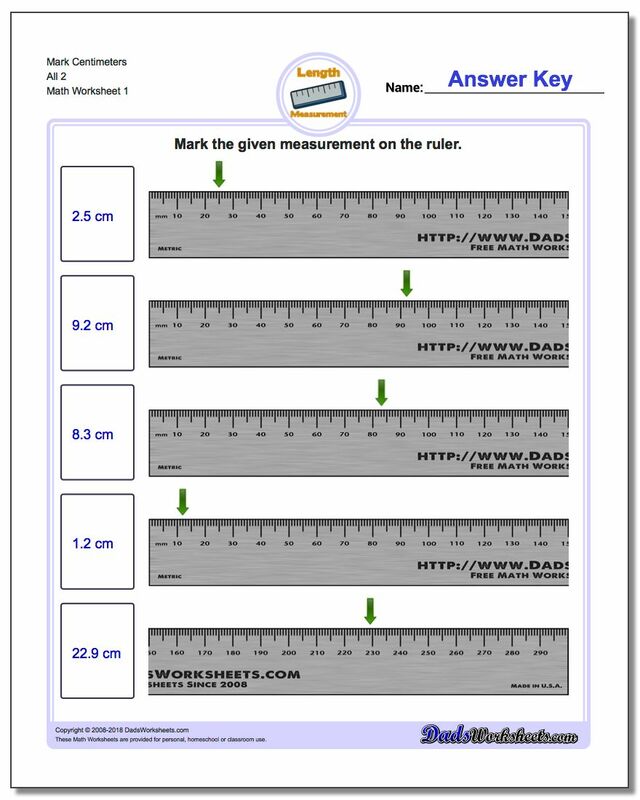 The metric ruler worksheets on this page ask students to draw an arrow indicating a specific metric measurement at the appropriate spot on the ruler. Subsequent worksheets introduce measurements in half inch measurements, quarter inch measurements, eighth of an inch measurements and sixteenth of an inch measurements. The last several worksheets on this page require students to mark measurements in any of these fractions of an inch. 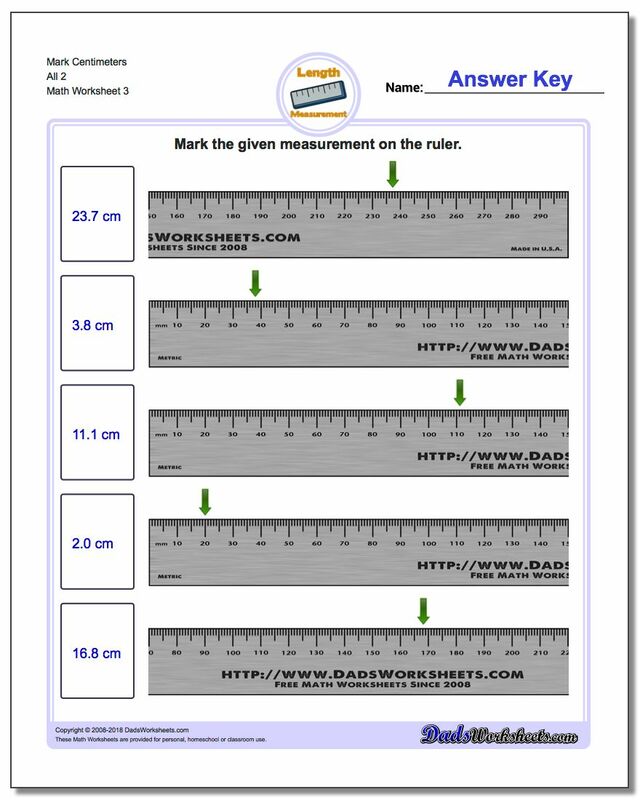 These worksheets will prepare students for the task of measuring the length of objects, which is the topic of the measuring worksheets on the following pages.